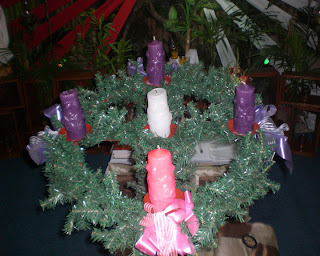 The Advent wreath represents God's love. 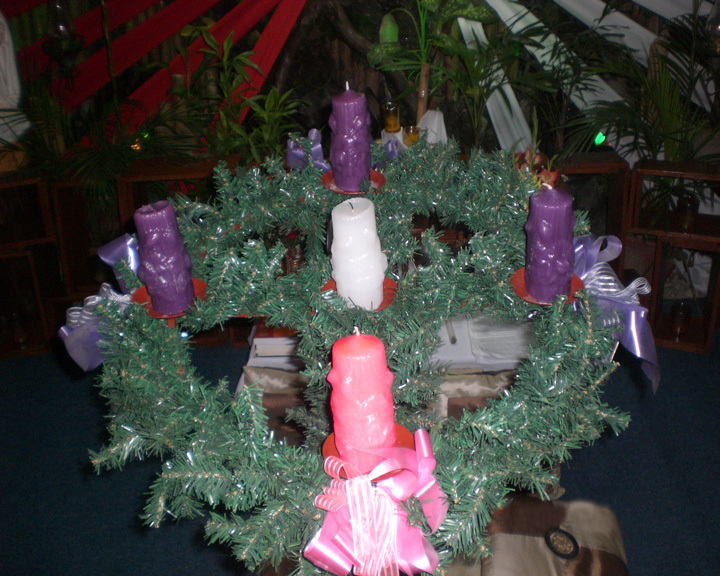 The evergreen and the circle (wreath) symbolize that God is Eternal and always with us.The candle represents Jesus, the Light of the World the one Light that dispels darkness.The four advent candles are lit for each of the for Advent Sundays. The three purple candles reflect the sorrow we feel for not loving Jesus enough. The rose candle is lit on the 3rd Sunday (Gaudete Sunday) in joyful anticipation of Christmas.